Worms and parasites can drain the energy and health from your dog. Even though there are preventive medications available many dogs are left unprotected. The consequences can be severe and impact the quality of life for your dog. In some cases infestation can eventually lead to death. 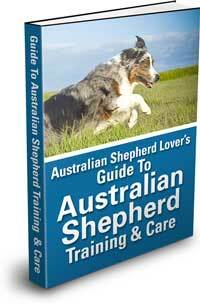 Please consult with your veterninarian and ensure that your Australian Shepherd is protected from these worms and parasites. It's always a good idea to make sure that your dog has a good foundation of health and that their immune system is strong. Feeding high quality dog food and providing high quality supplements will give your dog the building blocks necessary for good health. To promote digestive system health there are also natural remedies available that can help.